A license is required to operate an amateur radio station. 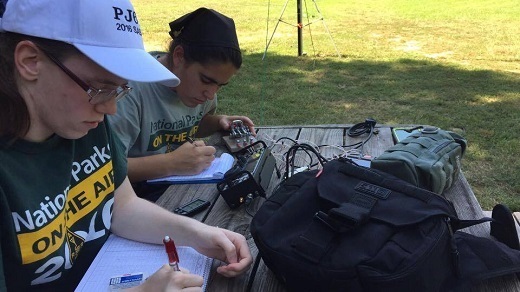 The Federal Communications Commission grants Amateur Radio licenses in the United States to individuals who successfully pass a multiple choice written exam at a Volunteer Exam (VE) session. The FCC currently issues three levels of amateur radio license: Technician, General and Amateur Extra. Each license exam contains multiple choice questions selected from lists that are published online at http://www.arrl.org/question-pools. Many individuals prepare for an exam session using self-study license manuals and online practice exams. From time to time, license preparation courses are offered that cover the exam material over several weeks. "Ham-Cram" sessions are also popular, where a several hours' review class of exam questions and answers is immediately followed by a license exam session. Free complimentary club membership for the balance of the current calendar year is offered to first time hams newly licensed ONLY by the following three Volunteer Examiner teams. Apply on our membership application page. VE sessions are currently held at 7:00 am on the third Saturday of each month at the Carmichael Elks Lodge, 5631 Cypress Avenue, Carmichael, CA 95608. The administration fee is $15. For further information send an e-mail to vvyvoda@yahoo.com or call John KJ6JD at (916) 927-4201. Sierra Foothills ARC sponsors VE sessions from 8-9 AM on the first Saturday of each month at the meeting room in Raley's Supermarket, 6845 Douglas Blvd, Granite Bay, CA 95746. Contact Al NI2U (530) 885-5112 or e-mail vechair2015@w6ek.org for more information.